Start taking classes at Fit Body Boot Camp and other studios! 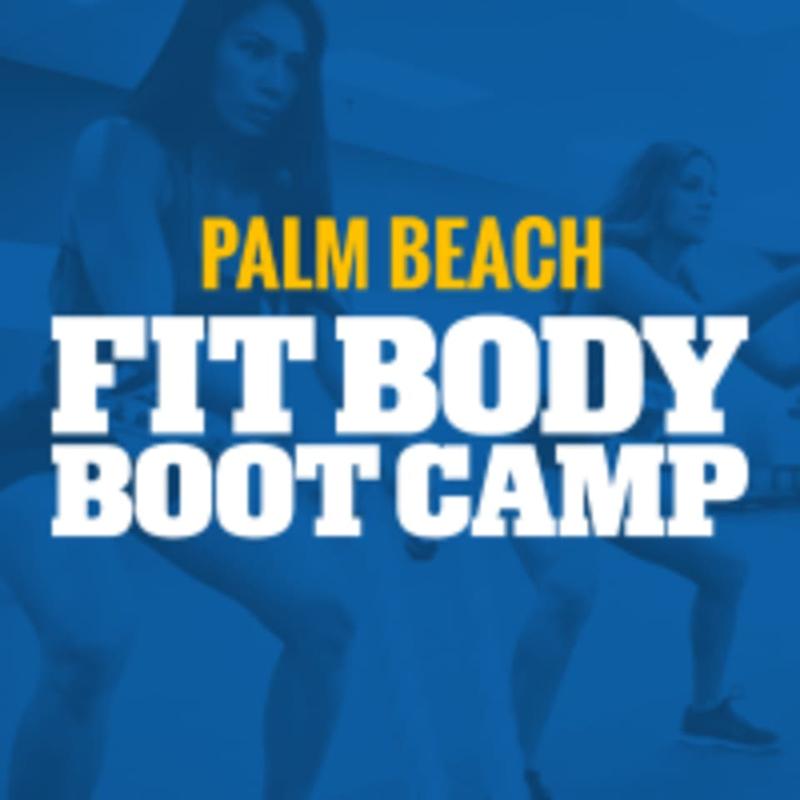 Fit Body Boot Camp Palm Beach is home of the Afterburn workouts - a group personal training program where you'll get high energy, fun, and challenging workouts designed to burn maximum fat and tone your entire body in only 30 minutes. Their specialized Afterburn workouts use a combination of (HIIT) High Intensity Interval Training and Active Rest Training to get your body to burn more fat and calories than traditional workouts that are twice as long. Every group training session is led by an experienced and certified personal trainer and is designed to be fun, high energy and challenging all while burning maximum fat and toning your muscles.